Platelet-Rich Plasma (PRP) is blood plasma that has been enriched with platelets. As a concentrated source of platelets, PRP contains (and releases through degranulation) several different growth factors and other cytokines that stimulate healing of bone and soft tissue. The Foundation research team, in collaboration with Stryker Orthobiologics, initiated a PRP tendon healing study in December, 2011. The primary goal of this study is to evaluate the effects of PRP on tendon healing in a controlled preclinical model. We hypothesize that PRP will augment rate and quality of healing and will show superiority over allograft alone due to the associated containment and sustained released of platelet-derived growth factors. 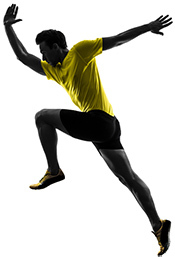 Augmentation of tissue repair with PRP would speed the return to work and sports. The study is slated for completion the third quarter of 2012.